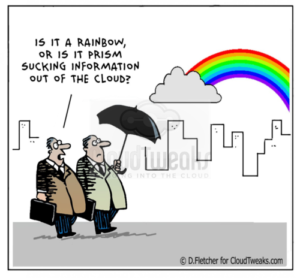 Why should companies care about Digital Transformation? Yes, I know it appears as yet another technology-drunk buzzword, but what about Digital Transformation should make it EVERY organizations’ #1 strategic business initiative. One word: Economics. And your Digital Transformation initiative must start with understanding the fundamental differences in creating value or wealth from an accounting versus an economics perspective. Accounting is a retrospective-looking methodology for determining asset valuation based upon the acquisition cost of an asset. This accounting perspective frames the way organizations measure and manage their business operations (e.g., balance sheets, income statements, cash flow statements, depreciation schedules). Economics, on the other hand, brings a forward-looking perspective on determining asset valuation. Organizations that use an economics frame to measure and manage their business operations focus on the value or wealth that an asset can generate or create. Not only does economics provide a forward-looking organizational valuation frame, but the unique characteristics of digital assets (such as data, analytics and applications) exploit that economics frame further. Let me explain. The problem with traditional physical assets – cars, trains, machinery, CT scanners, oil – is that they wear out over or deplete over time. Physical assets have a limited life, which is why organization’s use accounting techniques to financially account for the depreciation or depletion of these assets. However digital assets like data and analytics do not have those same behaviors. Digital assets never wear out, never deplete and the same digital asset can be re-used an infinite number of times at near zero marginal cost. Try pulling off that trick with your compressors, chillers, and industrial presses. At its heart, digital transformation is about economics. Digital Transformation is about transitioning from yesterday’s “data is the new oil” mentality (expensive to find, expensive to extract, expensive to transport, environmentally hazardous, depletes, messy, dirty and environmental costly) that is associated with physical assets, to embracing the contemporary “data is the new sun” mentality (clean, never depletes, never depreciates and is readily available to “fuel” an infinite number of uses) that is associated with digital assets. 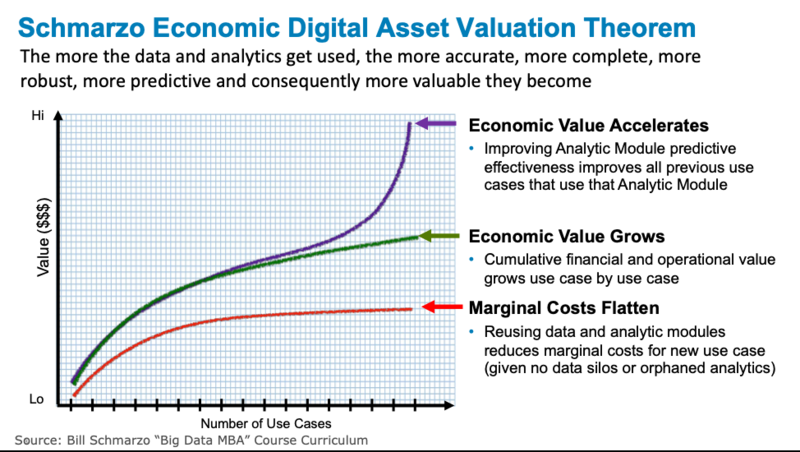 The unique behaviors of digital assets manifest themselves into a larger economic theorem – what I call the “Schmarzo Economic Digital Asset Valuation Theorem” – that takes into account a digital assets unique ability to simultaneously drive down marginal costs (via digital economies of scale) while accelerating the economic value creation of digital asset (via digital asset reusability) as explained in Figure 1. Economic Costs Flatten. The cumulative costs of the data and analytic digital assets flattens as the Margin Cost of the re-use of the data and analytic digital assets approaches zero. Digital assets never wear out, never deplete and can be re-used across an infinite number of use cases at a near zero marginal cost. Economic Value Grows. The cumulative financial, operational and customer benefits or value increases use case by use case. Economic Value Accelerates. The cumulative Economic Value of the digital assets eventually accelerates through the refinement of the digital asset. The data assets get more complete (though data quality and metadata investments) through re-use. 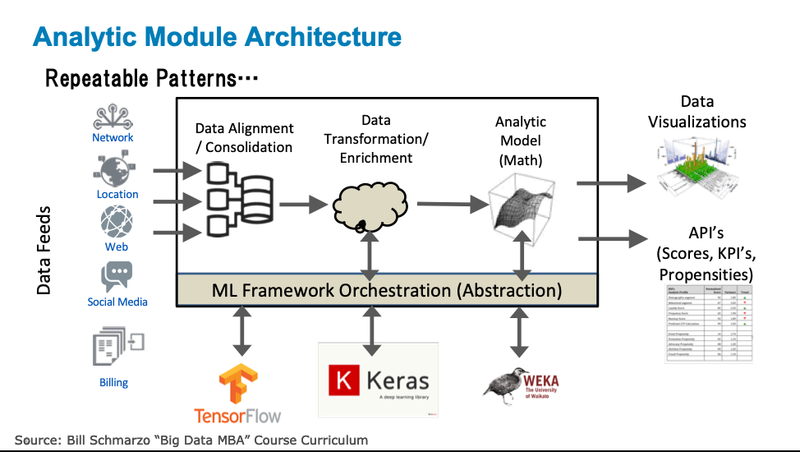 And the analytic modules get more accurate through reuse that drives predictive model effectiveness improvements (via analytic module continuous learning and improvements). These continuous analytic module improvements manifest into an “Accelerated Value Creation Curve:”. The “Economic Value Curve Acceleration” can be confusing, so let me explain with an example. Let’s say I have created a reusable “Anomaly Detection” analytic module that I use to detect unusual behaviors across multiple use cases such as predictive maintenance, performance optimization, supplier reliability, supplier quality, fraud and customer and employee retention. If I improve the predictive capabilities of the “Anomaly Detection” analytic module for one use case (say predictive maintenance), then every other use case that uses that same “Anomaly Detection” analytic module gets improved performance (more accurate predictions and prescriptive recommendations) at near zero marginal cost (see Figure 2). That’s the real breakthrough, game-changing concept here – that the more that the organization uses the data and the analytics, the more accurate, more complete, more robust, and more valuable those digital assets become. Consequently, the economics of these digital assets are simultaneously driving down marginal costs while increasing (and accelerating) the organization’s ability to create new sources of value from these digital assets. There are three key technology concepts that enable organizations to exploit the unique economic characteristics of these digital assets. 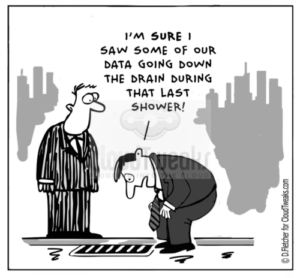 They are the Data Lake, Asset Models (Digital Twins and Analytic Profiles), and Analytic Modules. · Data Lake.The Data Lake at full maturity can enable the organization to exploit the economic value of data and analytics by centralizing digital asset reusability. 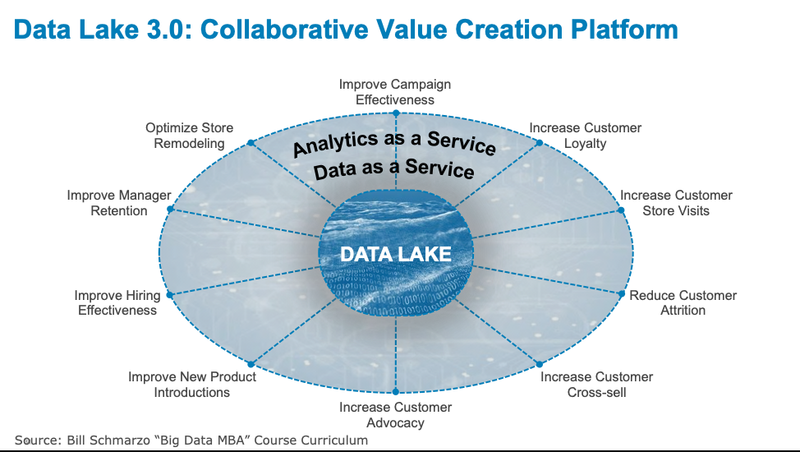 The Data Lake becomes a “Collaborative Value Creation Platform” that drives alignment between the organization’s key business and operational initiatives, and the data science team that creates the analytics to optimize those initiatives. Here’s the link to the industry-redefining University of San Francisco research paper “Determining the Economic Value of Data” (see Figure 3). · Asset Models. 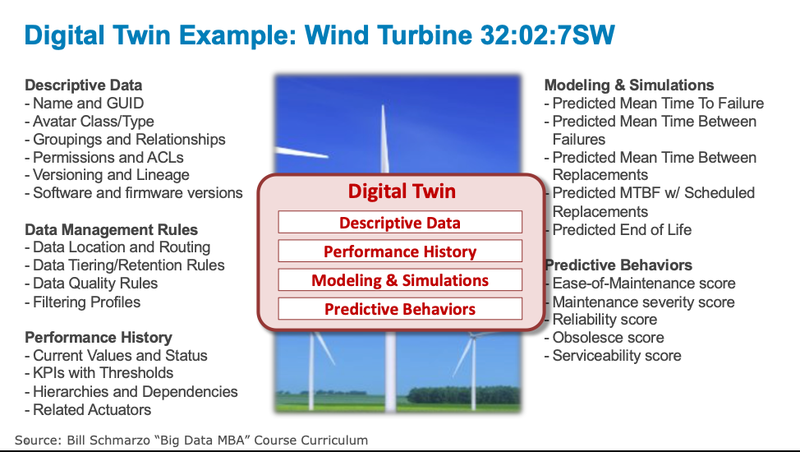 Asset models capture the “behaviors” – tendencies, inclinations, propensities, associations, and relationships – of both humans (Analytic Profiles) and mechanical devices (Digital Twins) at the level of the individual. 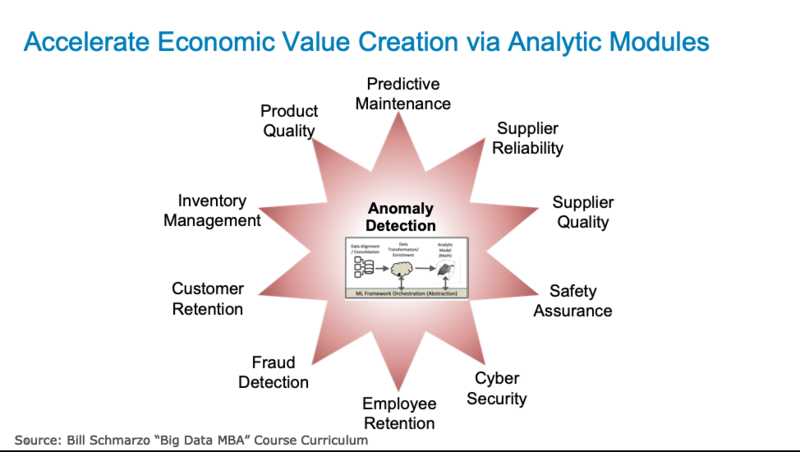 Analytic Profiles provide a structure for capturing an individual human’s (e.g., customers, physicians, technicians, engineers, teachers, lawyers, athletes) behaviors and tendencies in a way that facilities the sharing and monetization of these behaviors across multiple business and operational use cases. A Digital Twin is a digital representation of an industrial asset that enables companies to better understand and predict the performance of things, uncover new revenue opportunities, and optimize the operations of the business. See the blog “Cohort Analysis in the Age of Digital Twins” for more details on Asset models (see Figure 4). · Analytic Modules. Reusable Analytic Modules can be created for the most common analytic needs (such as Anomaly Detection, Remaining Useful Life, Operator Effectiveness, Likelihood to Recommend, Predictive Customer Lifetime Value) that can be cobbled together like Lego blocks (using technologies such as Docker containers and Kubernetes) to address higher-value business and operational use cases (such as reducing operational downtime, improving on-time delivery, reducing obsolete and excessive inventory, improving customer retention, and reducing unplanned hospital readmissions). See the blog “Driving AI Revolution with Pre-built Analytic Modules” for more details on reusable Analytic Models (see Figure 5). Data Silos. If the data can’t be shared and reused across multiple use cases, then each use case must bear the full cost of all the data gathering, aligning, cleansing, normalizing and integration. This may be the #1 problem I see across organizations today, the lack of willingness to share data across the enterprise. 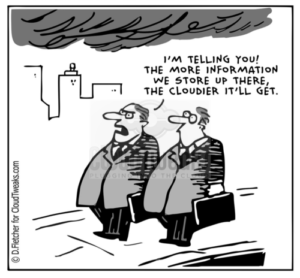 And you can no longer blame technology for your data silo problems. Orphaned Analytics. Orphaned Analytics are one-off analytics developed to address a specific business need but never “operationalized” or packaged for re-use across other use cases. Orphaned Analytics is not a technology challenge as much as it’s a process challenge to invest the time to 1) clearly define the analytic module use case requirements and 2) package the analytics in a way to support reuse. Both of these challenges are more organizational challenges than technology challenges. But then again, what game-changing transformations aren’t. It’s very hard to emphasize enough the business model-changing ramifications of digital assets, which is why every organization that seeks to be relevant (or even around) over the next decade should make Digital Transformation job #1. The economics of digital assets are unlike anything we have ever experienced but exploiting the economic ramifications of digital assets like data, analytics and apps requires a different frame – a frame that seeks to capture, share, reuse and refine these digital assets. The economics of these digital assets can simultaneously drive down operational costs while increasing (and even accelerating) the organization’s ability to create new sources of value. It is hard (impossible?) to find any other assets that the organization has that shares these same behaviors. But heck, it’s only your company’s future at stake, that’s all.